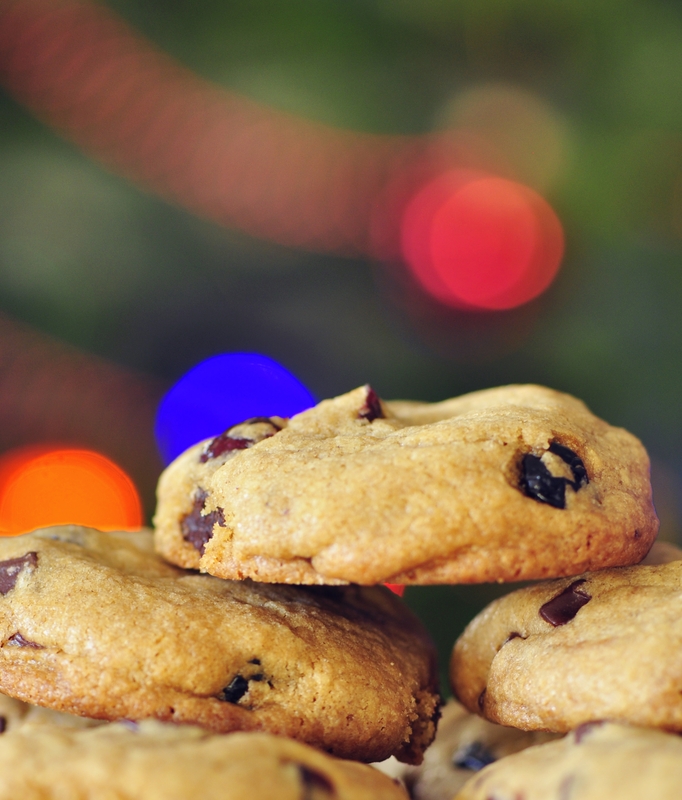 Searching for a chewy and delicious holiday cookie? Look no further. 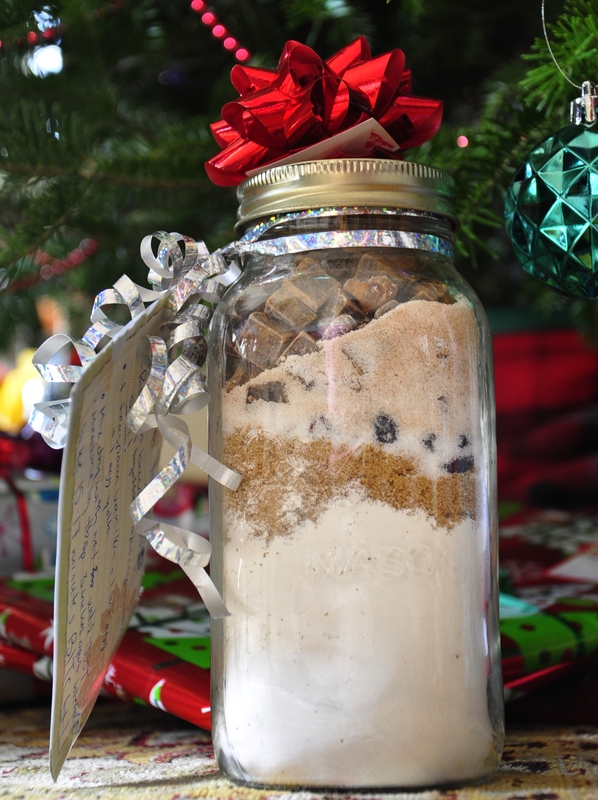 This recipe is from my friends Mattea and Chrissy, who gave me the cookie mix in a mason jar with directions attached to the side as a gift. I love it! Such a fun gift and the result is yummy cookies. I love holiday baking and all that good stuff, but I’m not the biggest fan of shortbread cookies, and I get kind of sick of gingerbread sometimes. 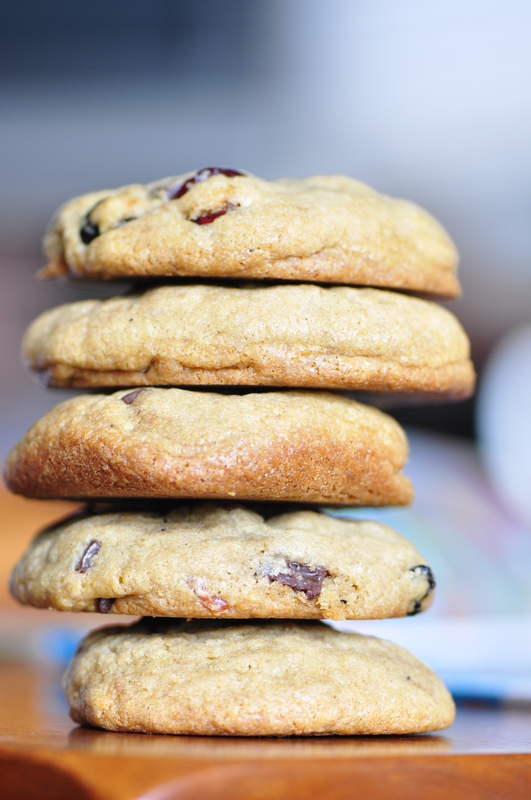 Though these cookies aren’t strictly holiday ones, the dried cranberries gives them a seasonal feel and you end up with a bit of variation. I’m always a little lazy when it comes to measuring butter, so I initially used what I thought was 3/4 cup butter but ended up needing to add a bit more at the end. If you follow the directions you should end up with a moist, shapeable ball of cookie dough. If it’s crumbling in your hands, that means you didn’t add enough butter; just melt some in a pan or in the microwave and pour it in, about 1 tablespoon at a time. Also, I didn’t use parchment paper or baking mats for this recipe because the cookies are moist enough to lift off the sheet once they’re done. Don’t try to lift them off before they’ve cooled a bit first: they continue cooking and solidify slightly once you take them out of the oven, so let them settle then you can transfer them to a rack. Otherwise your cookies will just pull apart. Sidenote: I don’t know if anyone else has this pet peeve about holiday shopping commercials or gift guides, but have any of you noticed that most of the time they’re crazy expensive? I saw a commercial where a mom walks in to a store not knowing what to buy, and leaving with a laptop, headphones, tablets, phones, speakers…seriously? For those of us who are a little more frugal, homemade gifts are way more fun and easier on the bank. In a medium bowl, cream together softened butter, eggs, and vanilla extract. In a separate larger bowl, lightly mix together flour, baking soda and salt. Add in all dry ingredients and mix until a moist cookie dough forms—use a big wooden spoon or your hands. If the dough is too crumbly, add in small amounts of melted butter at a time until it’s moist enough. Measure out roughly 1 tablespoon of dough at a time, roll into a ball, and place on an ungreased cookie sheet. Repeat until all dough is used up, and bake for 15-20 minutes until bottoms are lightly golden. The cookies will still appear very soft, but they continute to cook once removed so do not allow them any longer in the oven; it will make them too crunchy. Remove from oven and allow to cool 10 minutes on the cookie sheet; transfer to a wire rack to let them cool completely. This is the dry mix before adding it into the bowl. 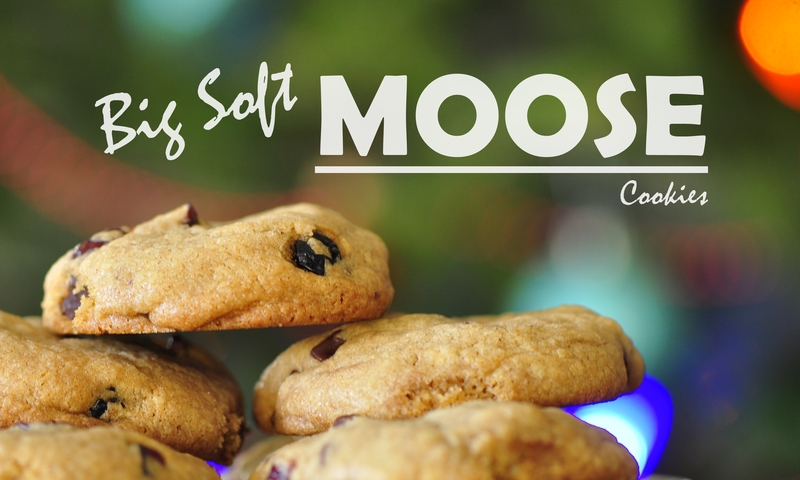 Love the image of a “big soft moose.” 🙂 These look great! I agree! I’d never thought of it before until they gave it to me and now I’m definitely going to do it in future. I’m making these right now!